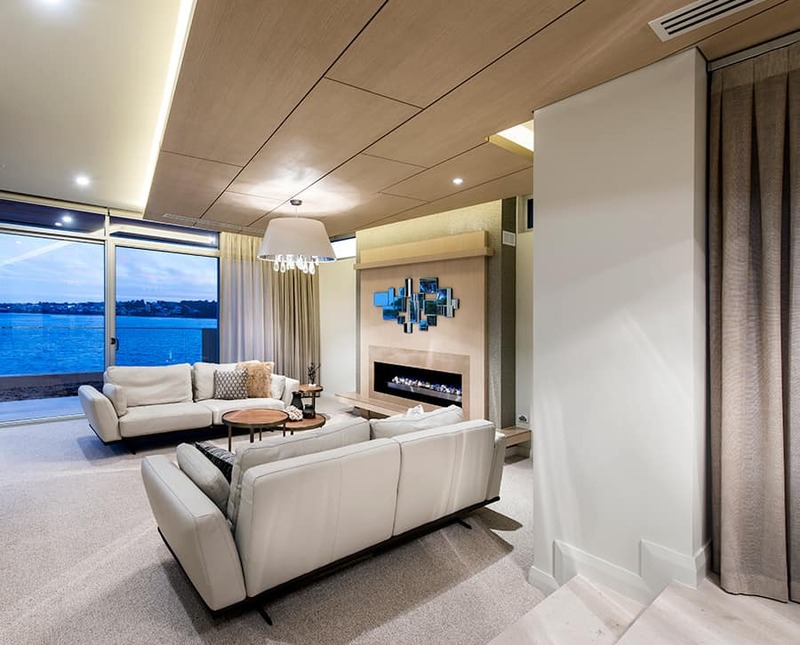 This contemporary luxury home sits on a river-front block – one of five lots that had been subdivided from a single block of land. 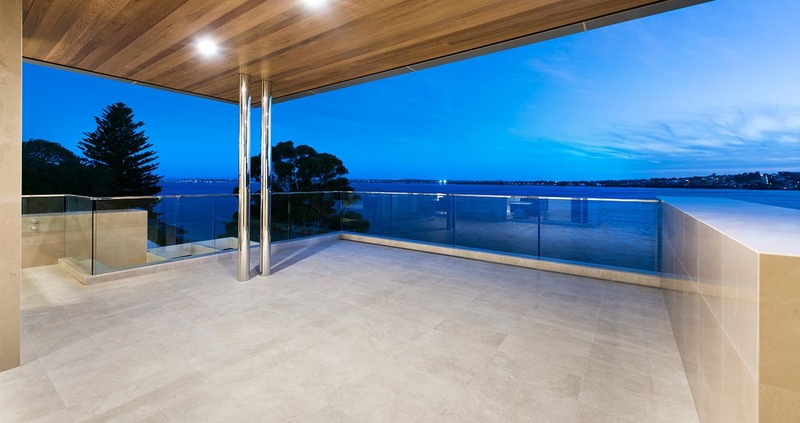 Located in an awe-inspiring location with pristine views of the Swan River, the house was under height restrictions so the house behind it could also enjoy unrestricted views of the river from the ground floor and upper floor. 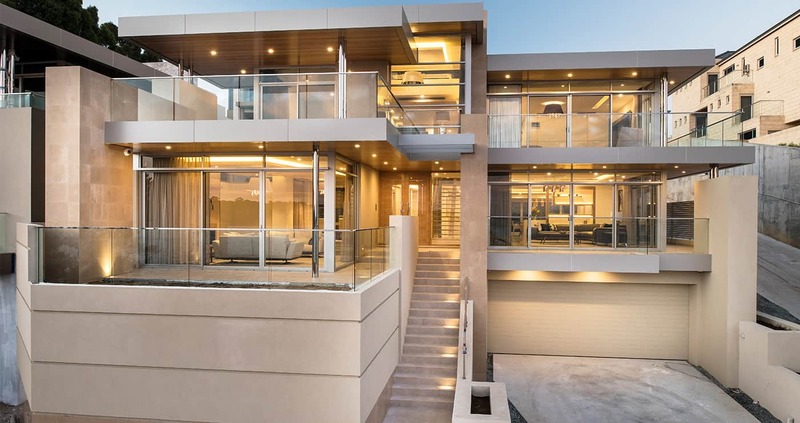 The lot was positioned on a very steep slope which allowed JAV Developments to build the contemporary home without obstructing the neighbouring views. 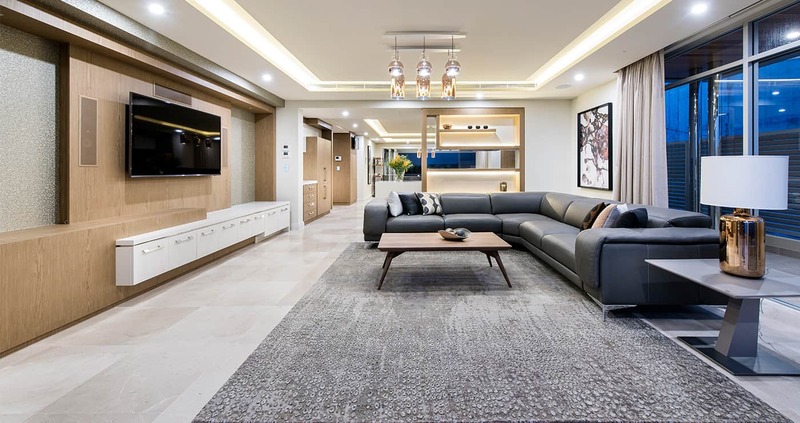 A 185 sqm undercroft forms the foundation of the home, including a four-car garage, a large storeroom, a custom-built wine cellar and a lift capable of holding six passengers. 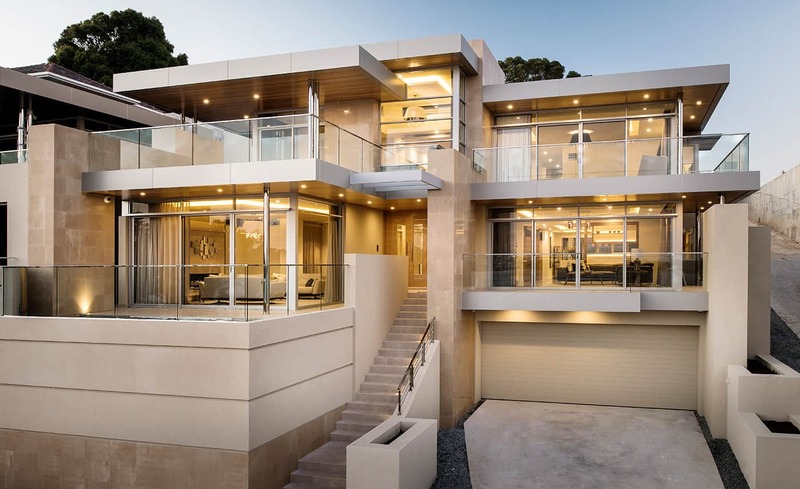 Because of the steep slope, JAV Developments built retaining walls and concrete pilings to suit the requirements of the house. 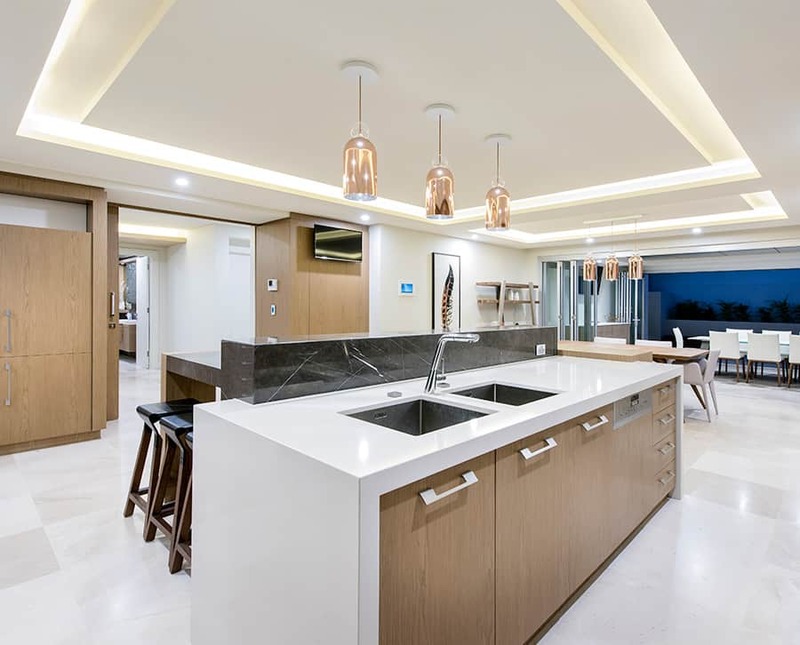 A large open-plan kitchen, living and dining room can also be found on the ground floor. 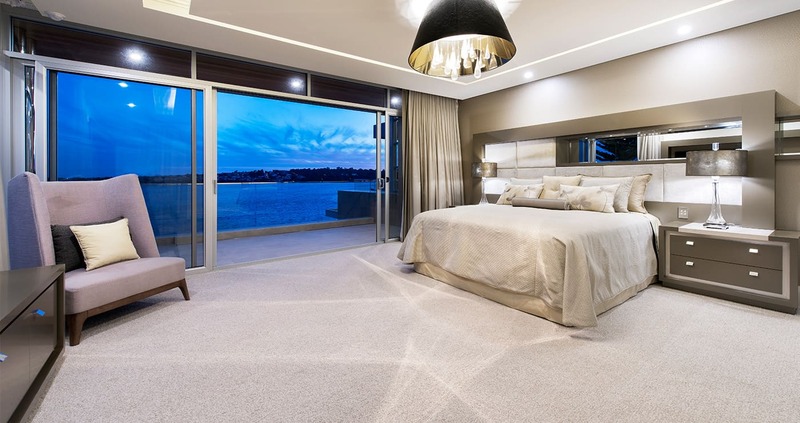 It contains a guest bedroom with private ensuite, a study room with a feature timber ceiling and a home theatre – complete with a 130-inch projector screen, surround sound, sound diffusers and acoustic padding to absorb and soften sounds. 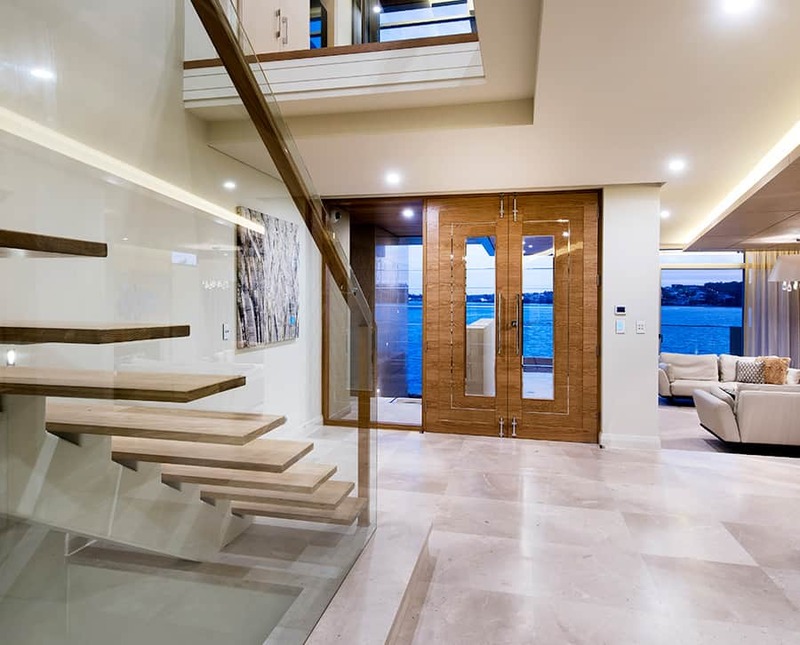 The ground floor is made of stone flooring and transitions to solid oak timber floors as you go up the floating staircase to the upper level. 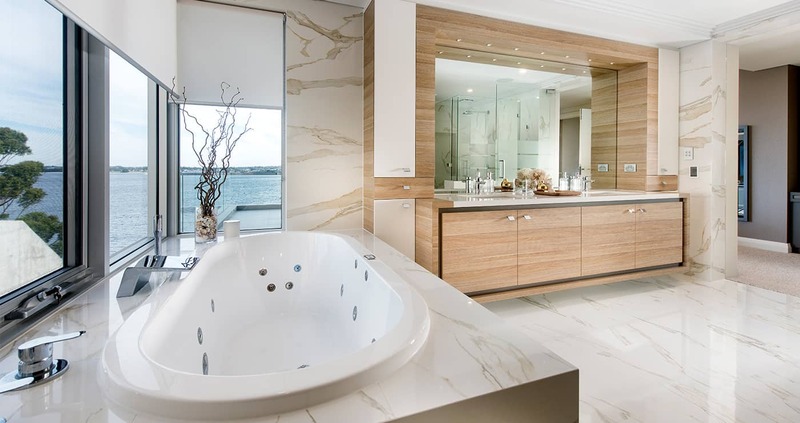 Why did the client choose a contemporary style? 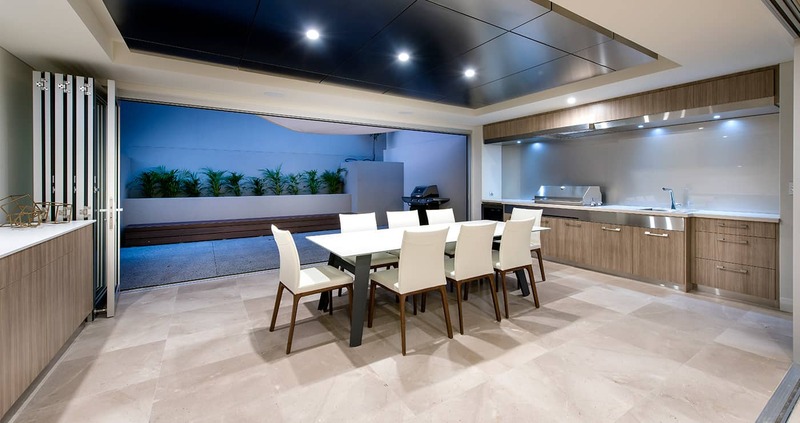 Our client had some very specific details he wanted the house to include as he was previously a builder himself. 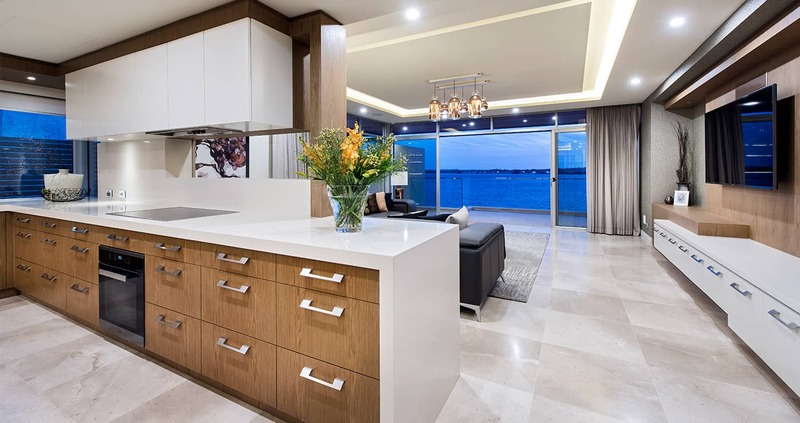 They wanted a clean, contemporary house with large, open windows to take full advantage of the beauty of the Swan River views. 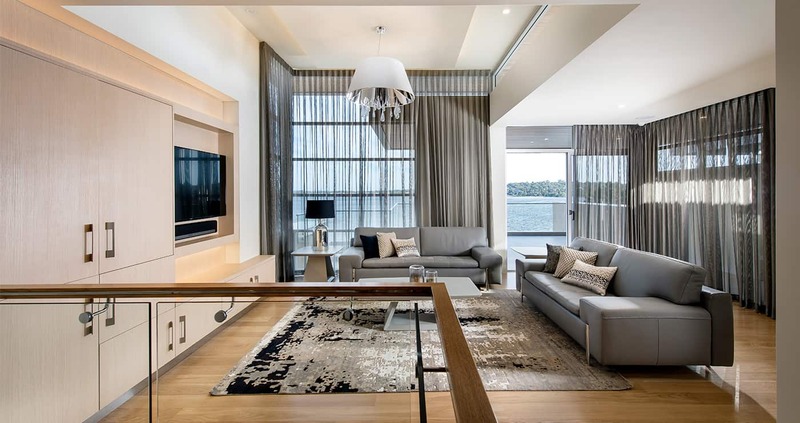 The first floor showcases the Swan River from two balconies and sweeping views from the living room. 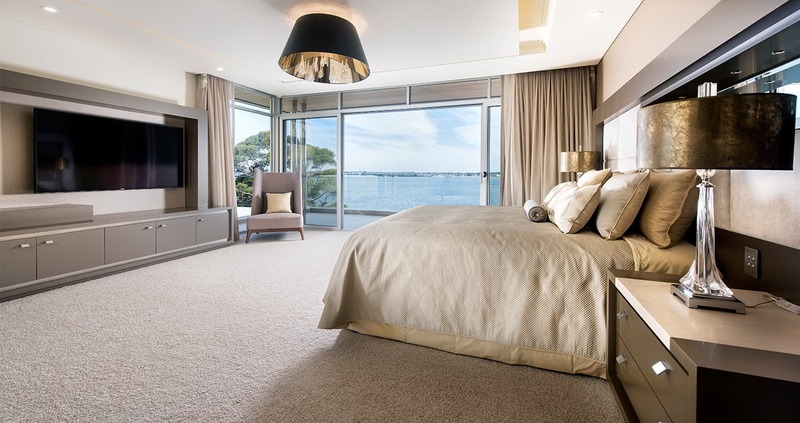 A huge master bedroom exudes luxury with sweeping views of the river, a large walk-in robe and electric underfloor bathroom heating. A 50kg food lift was included to make it easy to cater for large groups of people on any level of the house. 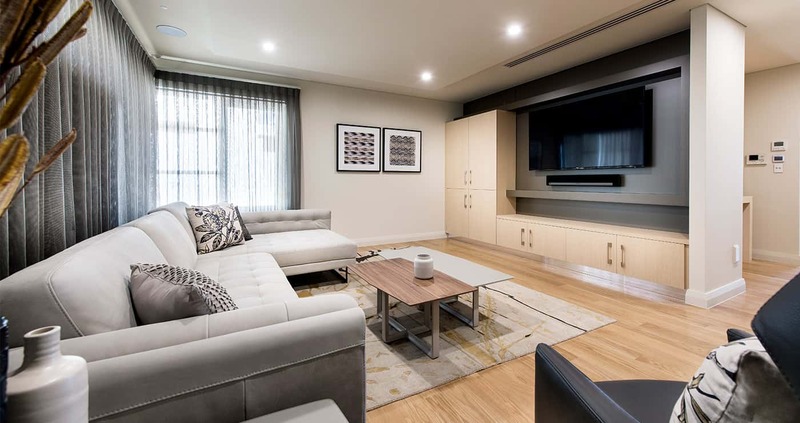 The house is complete with a home-automation system that makes it easy to control the lighting, air-conditioning, blinds and security, all from one central location.